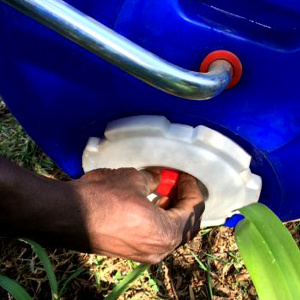 The Hippo Water Roller makes more water and time available for education, household tasks and food production enabling people to transport up to five times more water to their homes and food gardens. Image credit: Conservation Fusion and Madagascar Biodiversity Partnership (MBP). 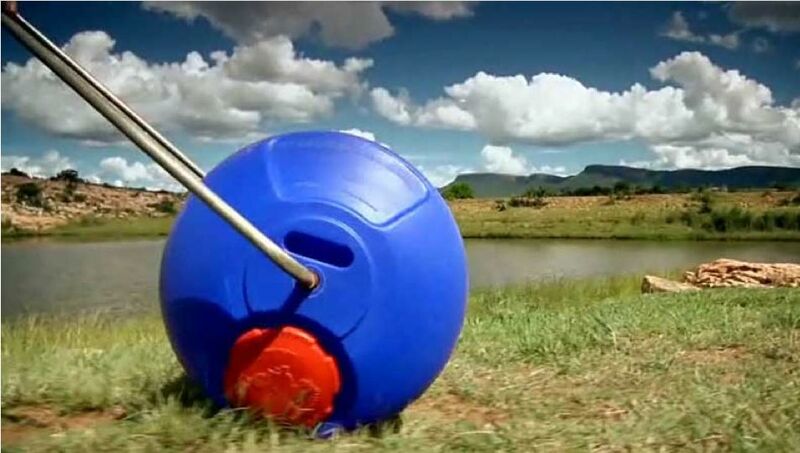 The Hippo Water Roller was developed in 1991 by two South Africans in response to the daily struggle of rural women and children across Africa to access safe, drinkable water. 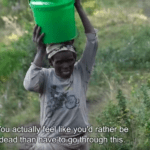 The award-winning technology is a distinctive portable water innovation that enables rural communities to transport water more easily and in less time than with traditional methods. 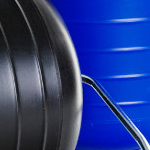 The effective weight of the 90 kg drum is just 10 kg when pushed or rolled on level ground, making it very user friendly for women, children and the physically weak. Its maintenance-free design requires no replacement parts and promotes continuous daily use in rural and economically poor communities. The new screw-cap has a seal and a built-in (recessed) mini-cap. 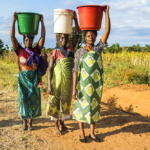 The primary reason for the new cap is to assist small-scale farmers with a simple irrigation feature as well as provide a more hygienic means of extracting water without contaminating the contents with dirty hands. We now include a pack of potential replacement parts with every Hippo Roller to ensure a long-lifespan of 5 years and more. These include spare protective “bearings” which fit onto the ends of the steel handle and clip into the recesses on the drum. Also included are spare mini-caps (standard soda bottle tops) and a spare O-ring for the large cap. 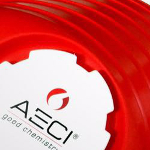 Furthermore the cap has been designed with a two-stage seal so that once the O-rings are no longer useable, the rounded edge on the cap seals against the 45 degree angle on the drum. The Utility Cap comes standard with every Hippo Roller. 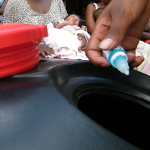 It is effectively a cap-in-cap design to ensure water is hygienically dispensed and contamination is reduced. 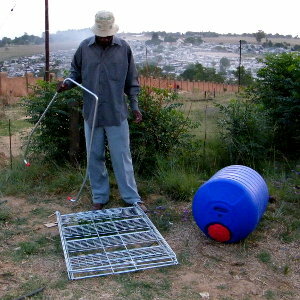 It also functions as an irrigation tool. 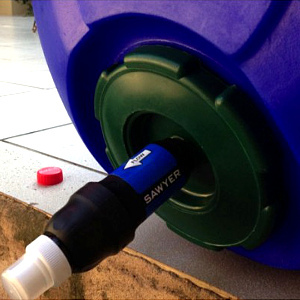 The utility cap features an inside cap which enables users to draw water without opening the larger seal. 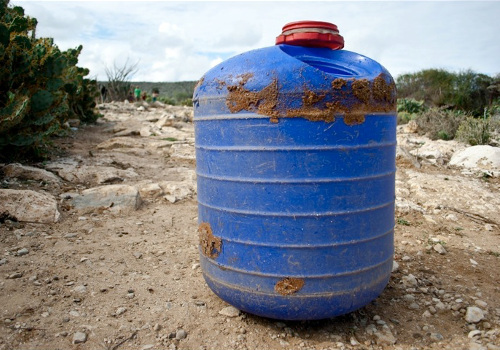 This reduces the risk of contamination and ensures the hygienic storage of water. 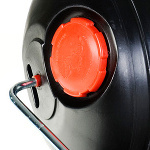 If lost, the inside cap can be replaced with a standard soda-bottle top. 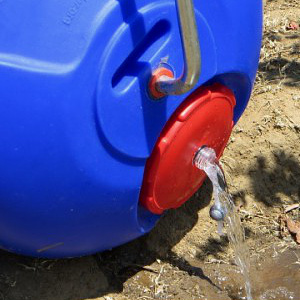 The cap allows small-holder farmers to irrigate their crops far more efficiently. 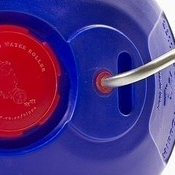 No need to remove the handle and no need to stand the drum upright to access the water. Filters and other point-of-use water treatment products can be added to further improve the quality of the stored water. 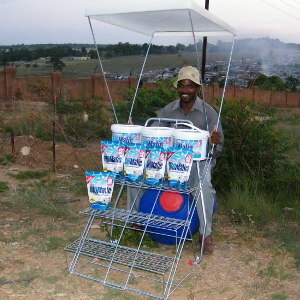 The functionality of the Hippo Water Roller is enhanced by the addition of the Hippo Spaza, a specially designed steel frame that can be attached to the Hippo Roller. This steel frame converts the Hippo Roller into a simple trolley for transporting products to preferred high traffic customer market locations, and then into a stand for product display. 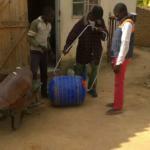 The Hippo Spaza Shop promotes economic activity and job creation within rural markets, a priority in poverty alleviation. 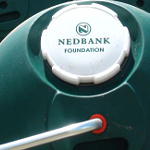 To encourage corporate sponsors and advertisers to get involved, we have added the option to include branding on both the Hippo roller and Hippo Spaza Shop. 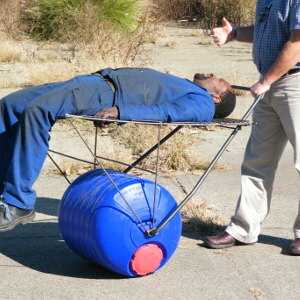 The frame of the Hippo Spaza Shop is strong enough to be used as an emergency stretcher in remote areas to carry the sick and injured.